The title Death Awakening To Life describes the author’s experience that dying doesn’t mean you don’t exist any longer, but that you aren’t housed any longer in your body. Her life changed the day she had a forbidding sense something big was going to happen. Her husband at the time had been researching the warning signs of a heart attack. She expressed her sense of unease. Even in his research her husband didn’t realize Christine was starting to have one. This book is the author’s experience of what it was like having her heart attack and what happened afterwards. Christine’s journey after dying and then coming back to life is unique. This experience helped shape what her life’s mission has become today. 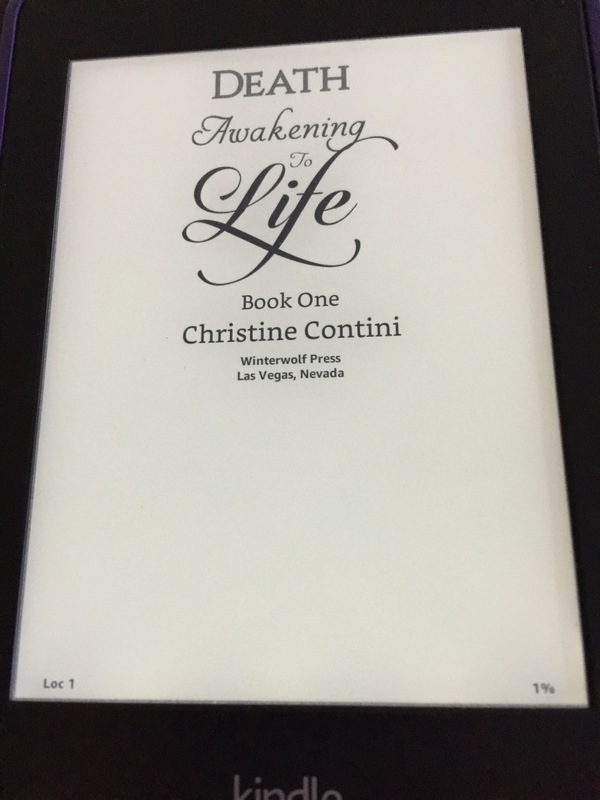 I received an ARC of Death Awakening To Life by Christine Contini free from NetGalley in exchange for my honest review. This book covered a lot of topics that were over my head. Some of them have to do with how the author helps people who are either passed on or in the processing of crossing over. Quantum physics was mentioned, as well as the author being able to hear people’s thoughts of those who have passed on. This book is definitely out of my spiritual comfort zone, though last year I read a book by a famous medium. If you are interested in reading more about paranormal topics this book might interest you. Christine writes in a very down to earth manner, so even if the topics might be a bit heavy she writes in a way you don’t feel talked down to. Thank you for sharing your journey Christine.